The Kamakura period (1185-1333, called "Kamakura jidai" in Japanese) describes one distinct period in Japanese history in which the bakufu (Japanese feudal government headed by a shogun) was located in the city of Kamakura. The Kamakura bakufu joined the Imperial Court and took a central role in a country-wide rule; it took its name from its location, in the city of Kamakura in Sagami Province. 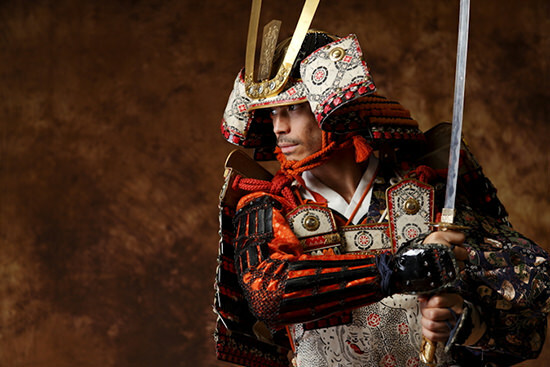 As the warrior class separated from the Emperor and the aristocratic class and became a distinct entity in itself, it created the bakufu out of its search for a new method of government; this ushered in the age of feudal government in Japan. This feudal style of government was to continue for almost seven hundred years, until the destruction of the Edo bakufu in 1868. 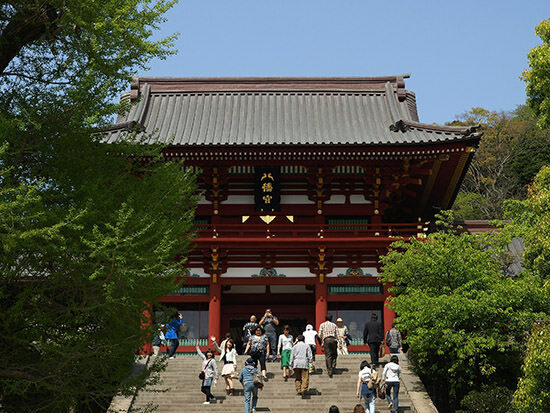 There are many theories about in what year the Kamakura period truly began, of which the 1192 theory, the year MINAMOTO no Yoritomo was made Shogun (Seii taishogun (literally, "great general who subdues the barbarians")), is the orthodox view, but in addition, theories include: the 1180 theory, focusing on Yoritomo raising his army and leading his gokenin (lower-ranking warrior vassals) into battle to destroy the Taira clan, and also establishing the Samurai Dokoro (Board of Retainers, which oversaw rewards for service); the 1183 theory, in which the key moment is the official recognition of the shogunate&apos;s right to control Eastern Japan (everything along the Tokaido and Tosando highways) proclaimed by the imperial court in the tenth month; the 1185 theory, which focuses on Yoritomo&apos;s use of his struggle to destroy his younger brother MINAMOTO no Yoshitsune as a pretext to usurp the right to appoint and control the offices of shugo (provincial governor) and jito (estate steward); the 1190 theory, in which it was Yoritomo&apos;s visit to the capital and subsequent court appointments to Gon Dainagon (Deputy Major Counselor) and Ukone Taisho (Commander of the Guardsmen of the Right) that is considered the decisive moment; and a handful even believe it wasn&apos;t until 1196 that the Kamakura period truly began. Among these views, in recent years it is the theory that 1185 was the critical year, citing as evidence the Minamoto&apos;s annihilation of the Taira clan at Dannoura coupled with Yoritomo&apos;s usurpation of the right to appoint shugo and jito--who were the true power base critical to ruling throughout the country--that carries the most relative weight. 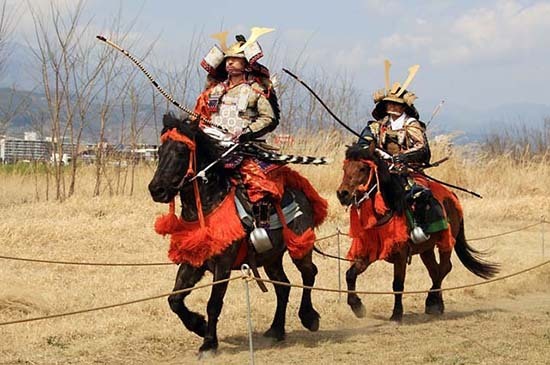 Towards the end of the twelfth century, MINAMOTO no Yoritomo--often called &apos;Lord Kamakura&apos;--having reached the pinnacle of the warrior&apos;s world, began to select and send out the shugo (governors) to all the provinces and created the Kamakura bakufu. The bakufu didn&apos;t interfere with the Imperial Court in Kyoto or with the shoen and public territories in rural areas, instead creating a dual system of government (bakufu and Court) under which it had the power to appoint warriors (as opposed to Court noblemen) to the key positions, including the jito, that controlled the countryside. The bakufu was established as an extension of the private household administration of Yoritomo (Lord Kamakura) and as such, did not count as a public institution according to the standards of the day. Consequently, those sent out by the bakufu into the provinces as governors and so forth were warriors from one of the Minamoto clan&apos;s home provinces or otherwise engaged in a master-servant relationship with Yoritomo (as gokenin, his vassals); the bakufu never achieved control over all the country&apos;s warriors, ruling instead through its close allies and retainers. By contrast, the Taira clan had invested much of its political power in the Imperial Court, and had sought to rule through the court. But after the Mongol invasions, the bakufu assumed the right to mobilize all the warriors in the country, and with this achieved de facto control over the entire country. The most striking difference between the Kamakura bakufu and the prior warrior government run by the Taira clan was the bakufu&apos;s creation of what was called the Monjusho (hereafter referred to as the Hyojosho or "Office of Arbitration"), an organization devoted to hearing and ruling on legal disputes over land ownership; until this office was founded, final authority to own land rested with the side whose military might was greatest and disputes were resolved in a simple way--through force--but the new office substantially reduced such bloody conflicts. Questions over land ownership contributed to virtually all fighting and conflict among warriors--and thus, almost all disturbances throughout the country--and Yoritomo&apos;s new theory of governance (as expressed by the Hyojosho) was to serve as the foundation of the bakufu-dominal system for many years thereafter. After MINAMOTO no Yoritomo died, an administrative system was created by the Hojo clan to fill the role of Shogunal advisor to the Imperial Court; they also arranged the system so that even if Yoritomo&apos;s bloodline died out, the Kamakura bakufu system could continue, and to serve as the bakufu&apos;s legal basis created the Goseibei Shikimoku (Formulary of Adjudications), the first set of laws governing the warrior class, which was to became the legal foundation of medieval society in Japan. The end result of the Jokyu Rebellion, in which Retired Emperor Gotoba and others tried to overthrow the bakufu, was the triumph of the bakufu over the court--this rebellion ushered in a new era, one of the political ascendancy of the bakufu over the court. Many gokenin were awarded land in western Japan for their service putting down the rebellion, and thereby the bakufu extended their control beyond the eastern provinces, where their power had been concentrated, into the western provinces as well. Economically, the system by which warriors, the de facto landowners in rural areas, could own and control land had now been legally stabilized, sparking a country-wide cultivation of land and leading to a vigorous flourishing of Kamakura culture. Given this societal milieu, a new style arose both culturally and artistically, differing from the cultural output of aristocratic societies heretofore, with a preference for new items in the Buddhist and fine arts that were easier to understand, catering more to warriors and commoners. The political stability brought expanded trade of commodities especially in western Japan, and markets available at regular intervals sprang up all over the country. In the thirteenth century, the Mongols invaded twice, these invasions being called the Bunei engagement of 1274 and the Koan engagement of 1281, so called from the names of the eras in which they occurred. After fierce fighting, bakufu forces were able to repel these two Yuan (dynasty) invasions. It was these victories that first gave rise to the belief that &apos;Japan is a divine country,&apos; a conviction that was to leave a deep, indelible mark on the historical consciousness of later generations. And although the bakufu managed to fend off the Mongol invasions, these two battles were unlike any previous conflicts in that the enemy was from a genuinely foreign country, meaning that no land to speak of had been confiscated and thus that there was very little with which to reward the warriors (gokenin) who had fought to repulse the invaders, which led to a souring of the relationship between the bakufu and its gokenin, who had faithfully responded to the bakufu&apos;s emergency summons. 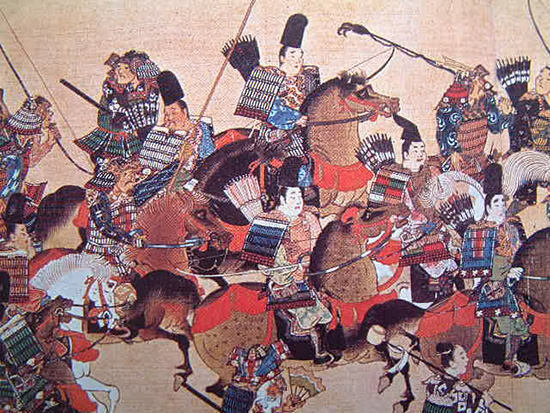 Using the Mongol invasions as an opportunity, the bakufu seized the authority to issue military mobilizations of all warriors throughout the country, including non-gokenin, and also worked to solidify its control over western Japan by creating offices such as Chinzei tandai (military commissioner of Kyushu) and Nagato tandai (military commissioner of western Honshu). But the Tokuso family--the primary lineage of the Hojo clan--which was bent on extending and strengthening their central authority and rule throughout the country and especially in the west, started to exclude gokenin, and began trying to promote only miuchibito (private family retainers) who were Hikan (vassals working for the Rokuhara Tandai). Consequently, the hearts of the gokenin gradually began to drift further and further away from the bakufu; these actions by the Tokuso provoked a smoldering dissatisfaction among the gokenin and among all warriors. 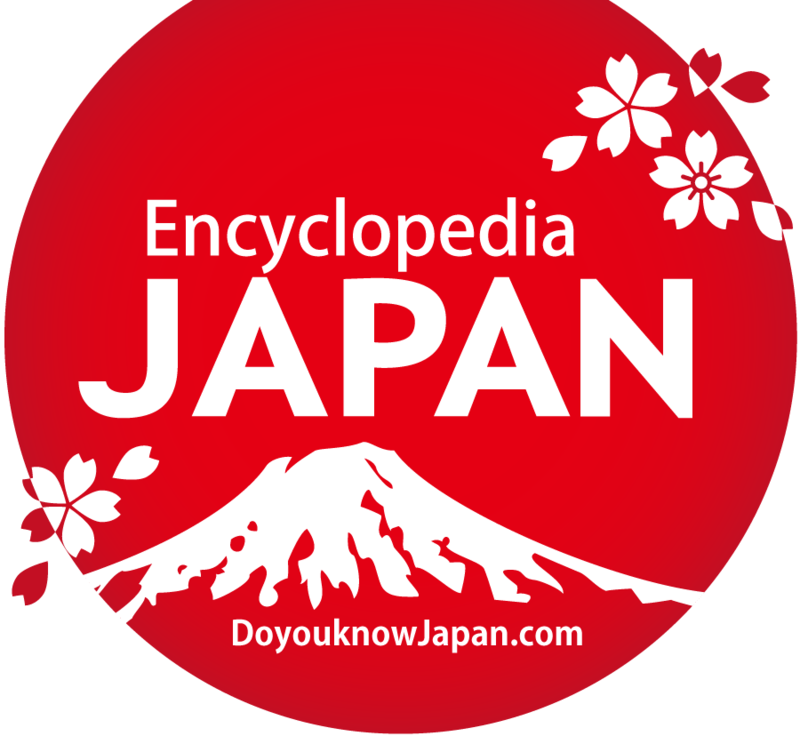 It is cited as one of the causes of the bakufu&apos;s later collapse. Also fall of the Imperial Court after the Jokyu Rebellion resulted in losing its ability to solve the imperial succession crisis and consequently it entangled the bakufu without any choice. The bakufu, as concerning the system of the alternate enthronement of the two rival imperial lines, adopted a policy of making recommendations concerning the imperial succession and mediating between the daikakuji and jimyoin lineages without being drawn in too deeply to successional disputes, but in the end, after a long period of confusion over the succession, the imperial court made a new request for the bakufu to intervene, while the faction on the losing end of this dispute, nursing newfound dissatisfaction against the bakufu because of the results of this intervention, ended up making a request of their own, leading to a vicious circle that conflicted ever deeper with the bakufu&apos;s hands-off policy. 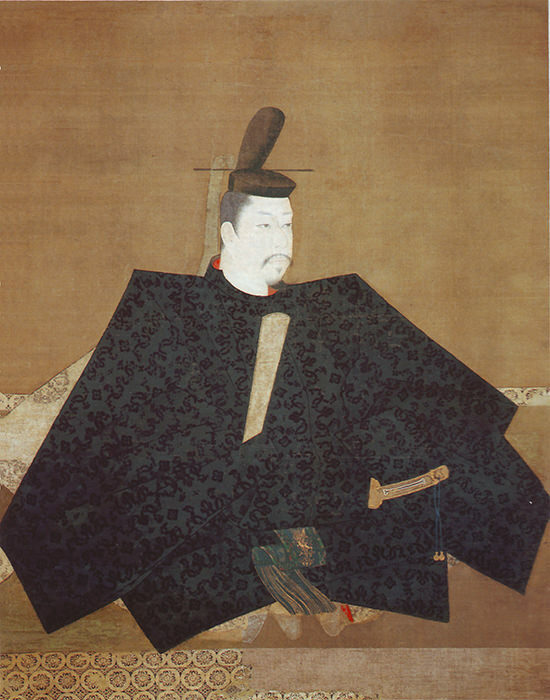 As a result, when the policy eventually reached the point of refusing to consider descendants of Emperor Godaigo, himself a scion of the Daikakuji lineage, as candidates for the throne, Emperor Godaigo was able to harness the long-festering resentment among warriors towards those who supported this policy--the nobility and the bakufu--and cooperate with them to launch a coup d&apos;etat, which then developed into a full-scale rebellion against the bakufu. 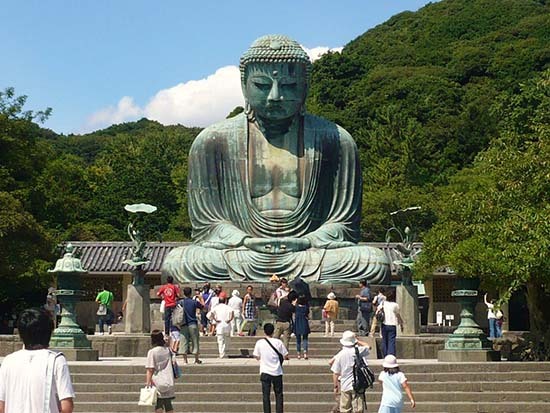 The Kamakura period is generally recognized as the period in which warriors managed to seize political power. 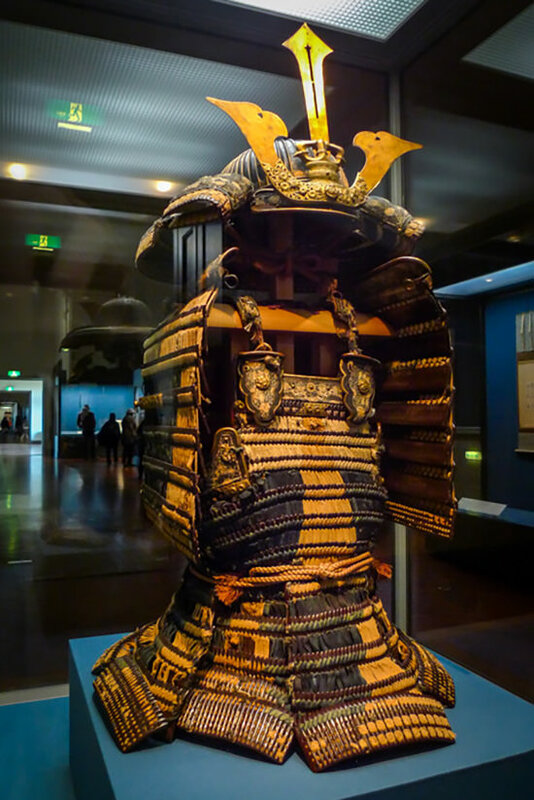 Yet throughout the period Kyoto remained ahead of Kamakura as the dominant metropolis economically, and the court, the nobility, and the religious establishments retained considerable power. The warrior class, the nobility, and the religious orders ruled jointly, each both complementing and competing with the others in different ways. So although at first the bakufu ruled in partnership with the court, it is fitting to consider the Kamakura period the transition during which, as a result of the Jokyu War, the warrior class--and the bakufu in particular--gradually superceded the court in power. 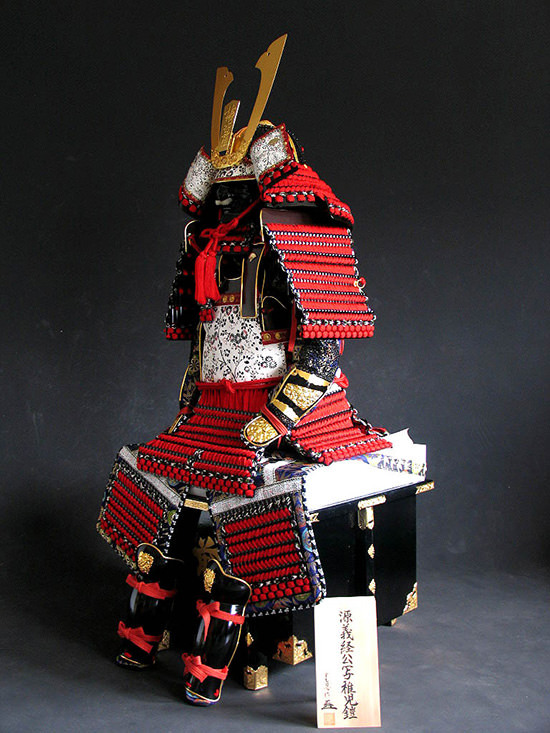 Initially, what lay at the heart of the Kamakura bakufu was the Shogun (or in actuality, &apos;the Lord of Kamakura. &apos;The position of Shogun (Seii taishogun) was not strictly necessary). But the primary bloodline of the Minamoto clan (specifically, the lineage of MINAMOTO no Yoritomo of the Kawachi-Genji) died out after supplying the first three Shoguns, and the position of Shogun became a mere puppet filled first by court nobles ("Sekke Shoguns" of the Fujiwara line of regents and advisors) and later by imperial princes ("Miya Shoguns"), while true power shifted over to the Council of Thirteen. And with the Heizenmon Rebellion and the battles of Wada and Hoji, the Hoji clan was able to purge the bakufu of all the non-Hojo warrior clans, stepping up their efforts to concentrate all power in their own hands. Yoritomo&apos;s wife Masako HOJO, to whom passed the reins of the government, saw to it that the Hojo clan, who held the position of regent to the Shogun, would retain true power. Tokiyori HOJO, regent to the Shogun, continued to manage the affairs of state even after retiring as regent, further shifting the concentration of bakufu power and authority from the position of regent to the main branch (Honke) of the Hojo clan, of whom Yasutoki HOJO was the progenitor, by which change it could no longer be said with confidence that the most powerful person in the bakufu was necessarily the regent to the Shogun. With the Palace and February Disturbances, the Nagoshi branch of the Hojo clan and other factions who opposed the Tokuso branch (the main lineage) were driven from the government. Among the Hojo clan&apos;s most notable achievements was the enactment of the Goseibai shikimoku (Formulary of Adjudications). These regulations legally differentiated the warrior class from the aristocracy, heretofore (legally) indistinguishable, and demonstrated that the nobility and the warriors had parted ways. But in addition to purging from true power all other warrior clans, the Hojo also saw to it that the majority of shugo (governor) positions in the various provinces were held by Hojo clan members, and moreover, that their private vassals the Miuchibito were treated very well, which invited malcontent among the gokenin and provincial warriors. During the time of the regent Tokimune HOJO, Japan was twice invaded by the Mongols, and although the Kamakura bakufu managed to repel both invasions, it was an international conflict and thus there was no enemy land to confiscate and award to their soldiers, leaving them unable to provide suitable rewards, something that only strengthened malcontent among the warrior class. Moreover, a money-based economy had begun to proliferate, which led to the financial ruin of many gokenin as they fell deeply into debt with members of the merchant class, looked down upon as Bonge ("commoners"). The bakufu did try to save such financially ruined gokenin by ordering two rounds of debt forgiveness, the 1284 Koan Tokusei ("benevolent rule," a euphemism for the mass forgiving of debts) and then the 1297 Einin Tokusei, but as they could not provide sufficient rewards and yet were reluctant to allow merchants to loan money to gokenin, the bakufu&apos;s efforts only ended up exacerbating disgruntlement among the gokenin, inviting further chaos and disorder. This situation allowed Emperor Godaigo, making full use of discontent among the warriors, to successfully overthrow the bakufu. In 1185, MINAMOTO no Yoritomo, in response to OE no Hiromoto&apos;s suggestion, instituted a countrywide system of shugo (governors) and jito (estate stewards) with the goal of hunting down his younger brother, MINAMOTO no Yoshitsune. A single shugo was sent to each province and given responsibility for the Three Duties concerning arch-criminals, which included killing traitors and rebels, and put in charge of leading all the gokenin in the province. Jito were placed at both shoen (private estates) and koryo (public territories), and were responsible for both levying the annual tax and managing and otherwise overseeing the land. With the backing and authority of the Kamakura bakufu, jito could (and many did) treat shoen very harshly; given their total contractual power over shoen to collect the predetermined amount for the annual tax regardless of whether it had been a good or a poor harvest, and their power forcibly to divide the land in a shoen into the jito&apos;s private section and the (absentee) owner&apos;s section, many jito were oppressive and little more than tyrants, in a sense. One of the most striking features of Kamakura period culture is the rise of a new warrior and commoner culture in opposition to the existing aristocratic culture; the period saw the emergence of dual cultures. The new culture&apos;s creative style is generally described as simple, plain, and realistic. The influence of Zen culture imported from (both Song- and Yuan-period) China was very pronounced. Events that led to the reforming of the Buddhist faith--which up through the Heian period had remained very abstruse, comprehensible only to a select few, and for which any proselytizing activities towards the masses were prohibited--included the rise to prominence of the Kamakura sect of Buddhism as well as new progress in efforts to reform Nara (i. e. , old-guard) Buddhism. One major characteristic of such reforms was the shift away from the mission to protect the state spiritually, which was Buddhism&apos;s main goal up through the Heian period, and towards the salvation of the general public, and the Buddhist clergy began taking the first steps towards a burgeoning independence from the state. And as the Hogen Rebellion led to the Heiji War, which blossomed in turn into the Genpei War (the war between the Minamoto (Gen) and Taira (Hei) clans, known as Jisho-Juei no ran in Japanese for the two eras in which it occurred), this age of wars and rebellions only reinforced a pessimistic view of the world (based on the idea of Mappo, the final and worst age in Buddhist theology), and led to many seeking salvation for their souls. Furthermore, great headway was made in simplifying Buddhism for the general public. And while on the one hand Enryaku-ji Temple (the main temple of Mt. 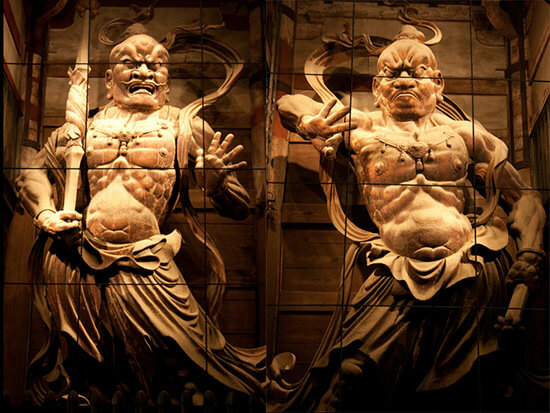 Hiei, also called "Sanmon"), which had shouldered the burden of spiritually protecting the state throughout the Heian period, zealously poured considerable effort into teaching its doctrine and promoting systematic study of its precepts, it also acquired political might through its prayers and incantations coupled with the military strength of its sohei (warrior monks). Moreover, spiritual tenets shifted away from the Nenbutsu Zanmai (deep prayer to Amida Buddha) passed down to Mt. Hiei by the monk Ennin and towards the monk Genshin&apos;s Tendai and Jodo (Pure Land) teachings as well as Ryonin&apos;s Yuzu Nenbutsu (Adaptable Prayer to Amida) sect, leading to the ascendancy of Pure Land teachings. And the Tendai sect held the position of Hokke Ichijo, the belief that through recitation of the Lotus sutra, each and every person could attain enlightenment and enter Nirvana. All the founders of new Buddhist sects during the Kamakura period (except Ippen) were trained at Mt. Hiei; indeed, with their belief that all living creatures could be saved, Mt. 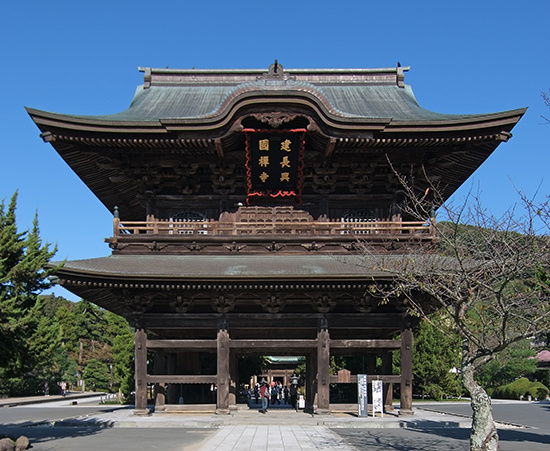 Hiei was the fertile ground that cultivated new offshoots of the Buddhist faith during the Kamakura period. In their struggle to oppose the rise of these new sects, the old guard of Buddhism criticized the nenbutsu (prayer to Amida Buddha) and honored the traditional precepts, making progress in revitalizing the decaying edifice of old Buddhism from within. Moreover, they strengthened their will to work for the salvation of all living creatures, giving aid to those afflicted with leprosy and to hinin (literally "non-humans," members of the outcastes) and other bridge-building efforts, and thus increasing their zeal for social and humanitarian work. After the oppression and eventual collapse of the Southern Song dynasty due to the invasion of the Yuan (Mongol) dynasty to the north, Zen Buddhist intellectuals began to cross over to Japan. 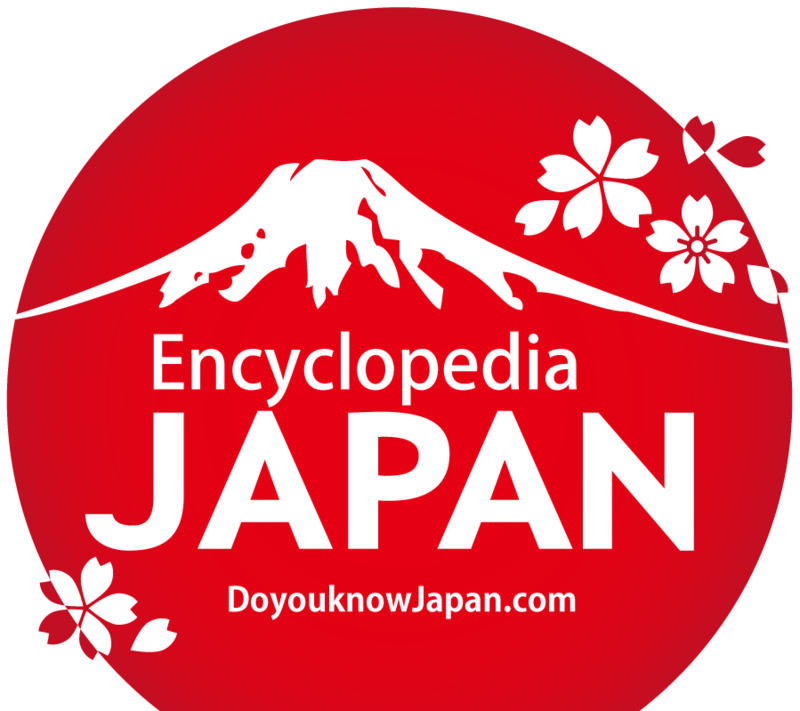 Each such visitor was to have a significant influence on the leaders of the bakufu.